V2594. 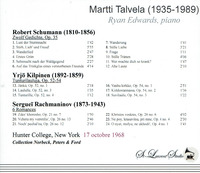 MARTTI TALVELA, w. Ryan Edwards (Pf. ): Songs by Schumann, Kilpinen & Rachmaninoff. (Canada) St Laurent Studio YSL T-755, Live Performance, 17 Oct., 1968, Hunter College, New York. Transfers by Yves St Laurent. 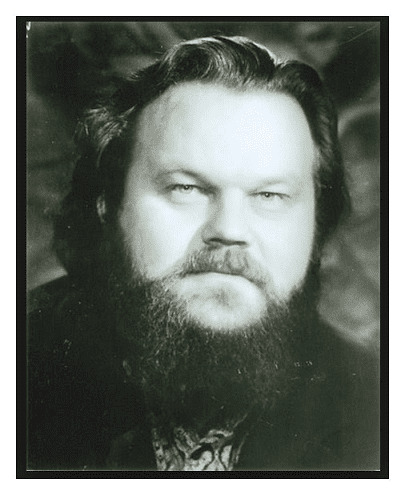 "Martti Talvela, a Finnish bass who appeared regularly at the Metropolitan Opera and was the director-designate of the Finnish National Opera, was most highly regarded in the Russian operatic repertory, and was considered a peerless interpreter of the title role in Modest Mussorgsky's BORIS GODUNOV, which he sang many times at the Metropolitan Opera. He also enjoyed considerable success as Dosifei in the Met's production of Mussorgsky's KHOVANSHCHINA. In January 1960, he won first prize in a lieder competition in Helsinki, and went to Stockholm to continue his studies with Carl Martin Ohmann. The following year he made his debut at the Swedish National Opera as Sparafucile in Verdi's RIGOLETTO. Wieland Wagner, the composer's grandson and a noted stage director, heard one of Mr. Talvela's early performances and invited him to appear at Bayreuth in 1962. In 1963, he made his debut with the Deutsche Oper, in Berlin, and toured Japan with that company as Seneca in Monteverdi's INCORONAZIONE DI POPPEA. By 1965, he had made debuts at La Scala, in Milan, and at the Vienna State Opera, and was performing regularly at Bayreuth and Salzburg. 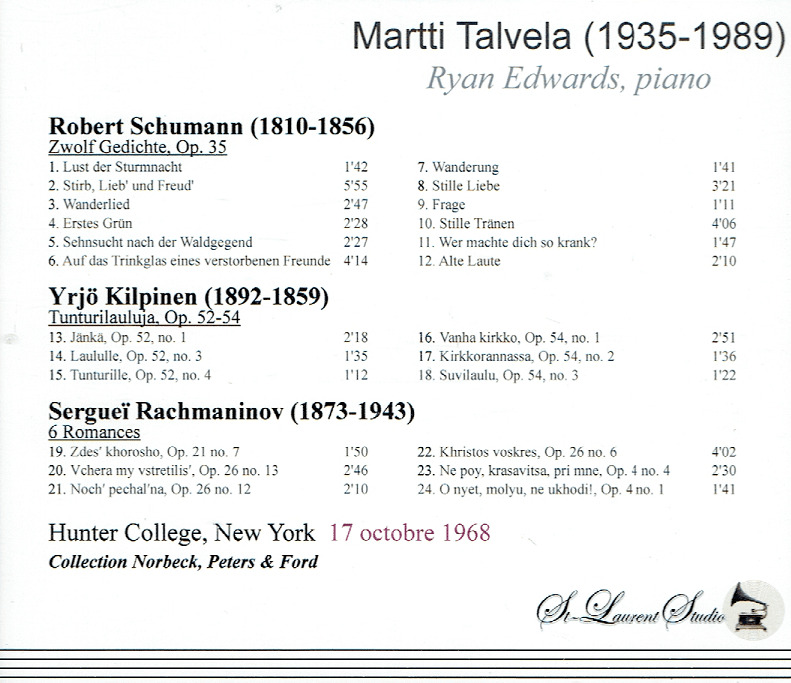 Mr. Talvela made his American debut with a recital at Hunter College in 1968 [above], and with performances at the Metropolitan Opera that same year.